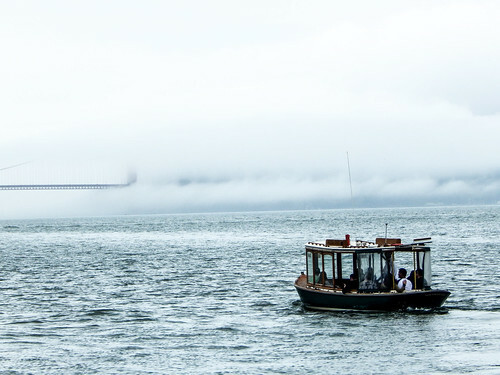 A quintessential California scene, fog rolls over the bay and leaves bits of the Golden Gate Bridge to peak out and please travelers eager for a scrapbook picture. Joining the bridge in the fog, The Rock. And sprawled out before the water, the city, filled to every inch it seems with people, lights, sound and movement. As iconic as the waterfalls of Yosemite with which we started our trip, San Francisco is an excellent spot to wrap up our California tour. If you’ve read a few of my other blog posts, you know that I am a fan of quiet countrysides and wide open spaces. San Francisco is far outside what some would call my comfort zone. But, I don’t believe in having a comfort zone – what adventurer does? So, on occasion, I find myself in The City. 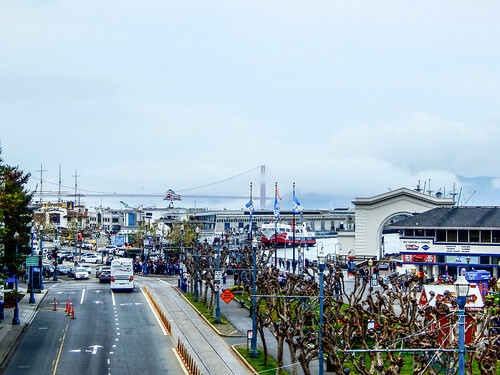 There are a few spots to mark off the tourist checklist: Pier 39, the Golden Gate Bridge, Alcatraz (The Rock, as it’s also known), and my mom’s favorite, Lombard Street – the famous one block stretch of hairpin curves. But don’t stop with the basic tourist areas. Visit a market in China Town. Do some shopping at Union Square. See a concert at the Fillmore. Visit Haight-Ashbury and, well, just see what you see. San Francisco is a great city to walk in. Adversely, driving in the city is not for everyone. I personally don’t care much for it. But walking here is a really neat experience. The city is filled with little shops, stores and galleries that you would miss if you stick to your car. Each district seems to have its own feel and flavor and there’s probably something for everyone. 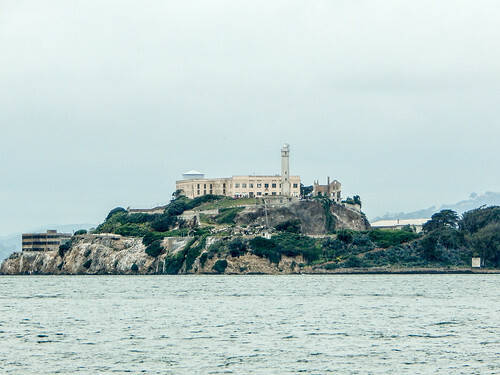 I must get really wrapped up in my visits to San Francisco, because I have nearly no pictures for you. Again, I’m not a city person, so it’s also possible I don’t stop to take many as I’m doing whatever business brought me there. Whether you’re a city person or not, San Francisco is an excellent example of the cultural melting pot that is America.